Saundra of Woodland Junction: Let's Have a Rug Show! Let's Have a Rug Show! Thought I'd start off with something for Kelley. A cat rug with stars and scallop border. 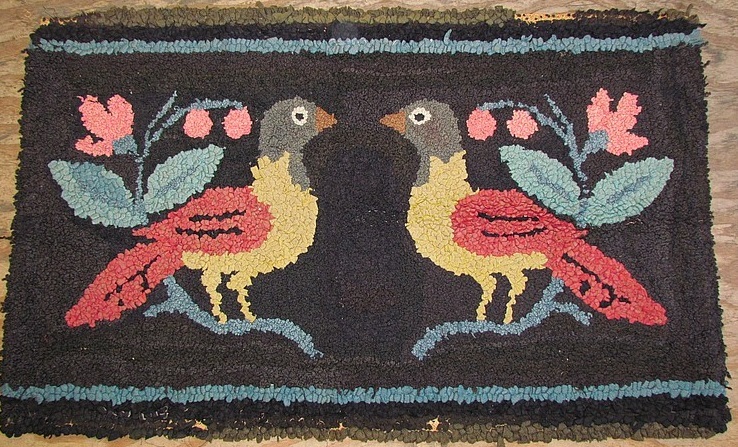 Said to be from late 19th century hooked using wool and cotton. At a later date I learned this is not an antique but a design by Kathy Morton. Not wanting to show favoritism, here is a dog hooked in the 19th century. Measuring 28 x 39 it comes from Sturbridge MA. Colonial houses with well in foreground. 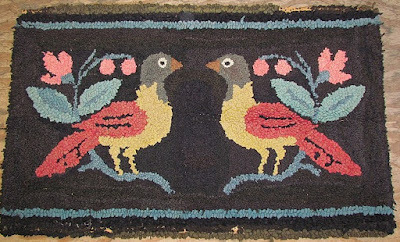 Colorful birds from Ephrata, PA measures 27 x 44 and said to have been hooked between 1850 - 1900. 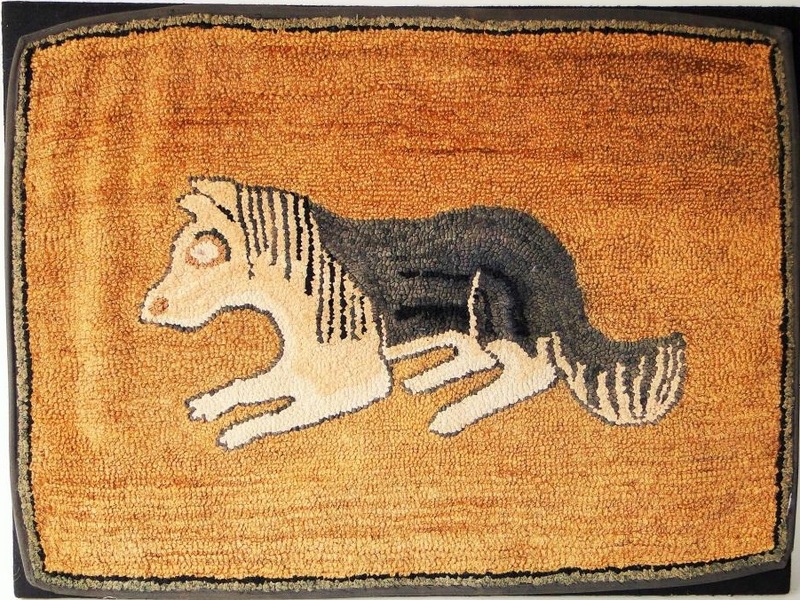 A hooked dog rug with a faux 'hooked' braided inside border. Thout that was very interesting and very well done. Tap on the photo to get a better view. 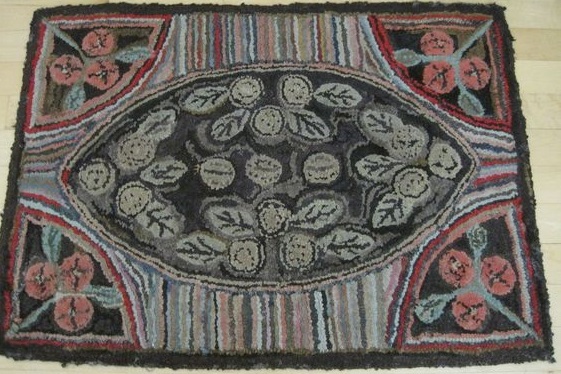 Berries in corners and center with hit and miss background 19th century. Of course I have to show some horses after showing a cat, dogs, birds, etc. Late 19th century 23 x 40 from Pennsylvania. Found this on Pinterest and can't believe it is in such wonderful shape. Must have been museum stored for centuries. 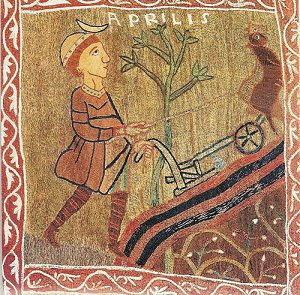 It is a 12th century Girona tapestry depicting the month of April. 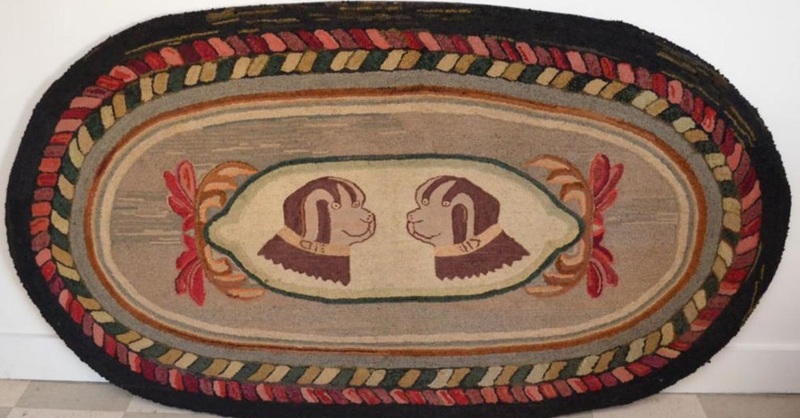 Would make a nice hooked rug and conversation piece. All that is missing is a truly primitive and naive hooked pot of flowers with small houses. 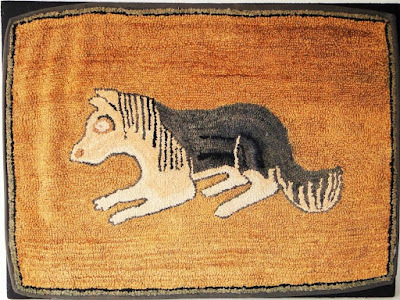 the dog/horse rug is funny the head of that dog looks like a horse. 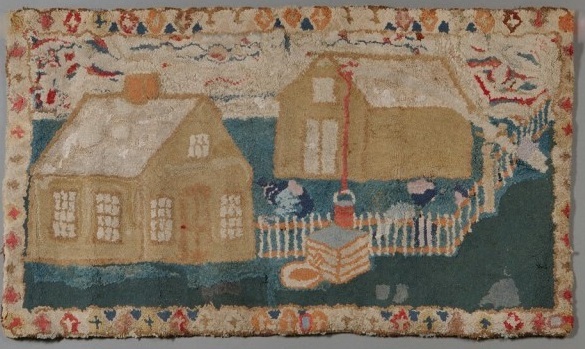 I love the house with the well it looks like the rope for the well bucket is not hooked to anything but oh I am with you a faux braiding love that! 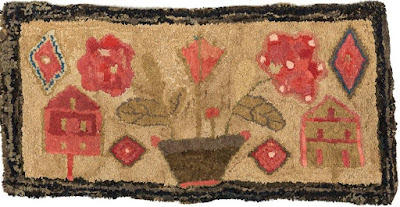 Wonderful rugs, you always find the best. I do like the last one, have never seen that one or the plow one. The cat,,, the horse,,, and the house ,,, my favs! So many cool rugs that I cannot choose a favorite! 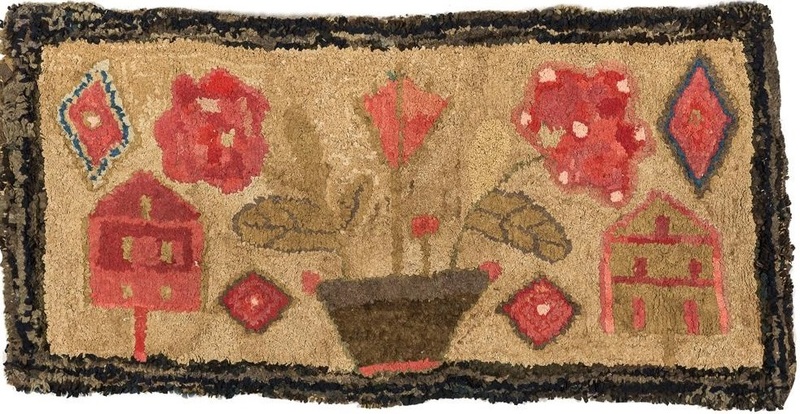 Beautiful rugs !! !Love the last one !! I do love that hit or miss! Thanks for sharing.